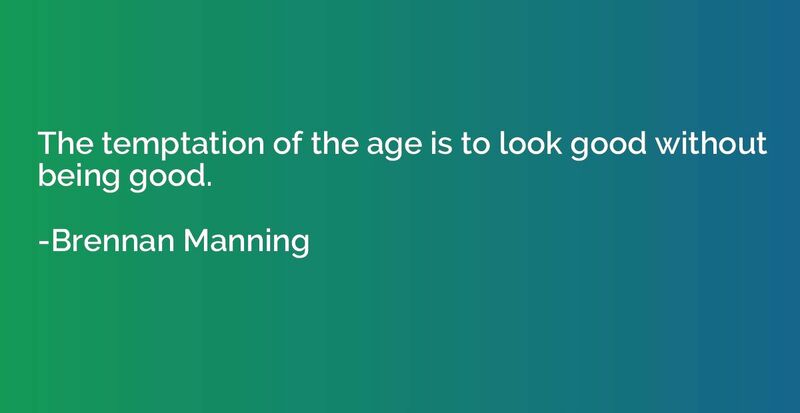 The temptation of the age is to look good without being good. On their sofas of spice and feathers, the concubines also slept fretfully. 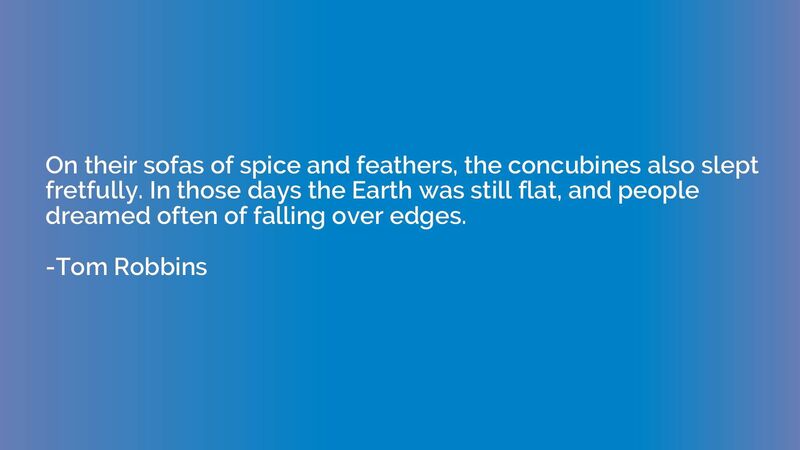 In those days the Earth was still flat, and people dreamed often of falling over edges. 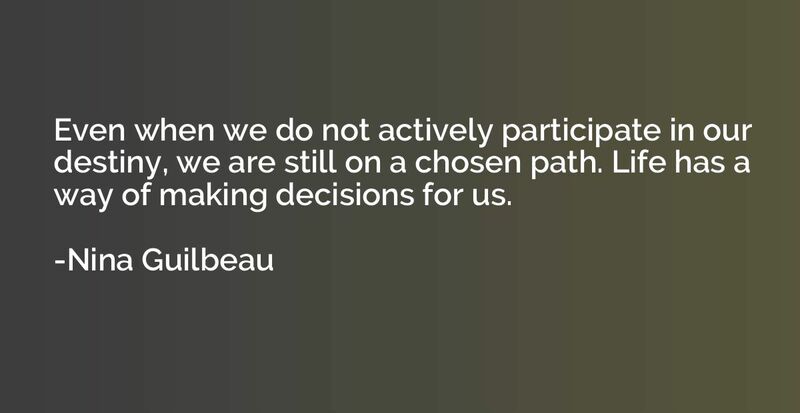 Even when we do not actively participate in our destiny, we are still on a chosen path. 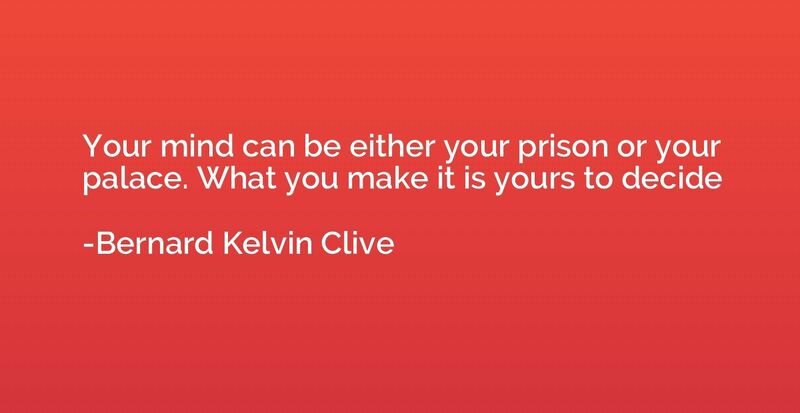 Life has a way of making decisions for us. Mostly I have felt myself becoming a servant of sadness. 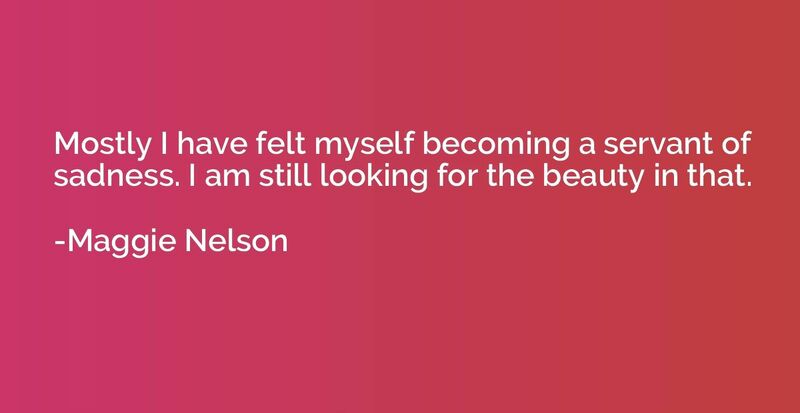 I am still looking for the beauty in that. 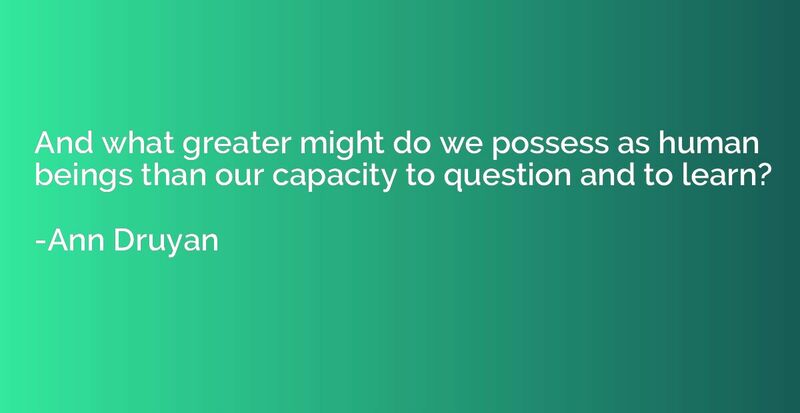 And what greater might do we possess as human beings than our capacity to question and to learn? 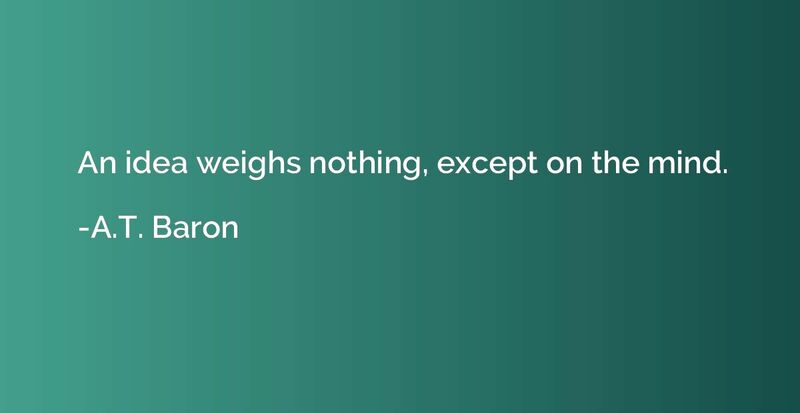 An idea weighs nothing, except on the mind. 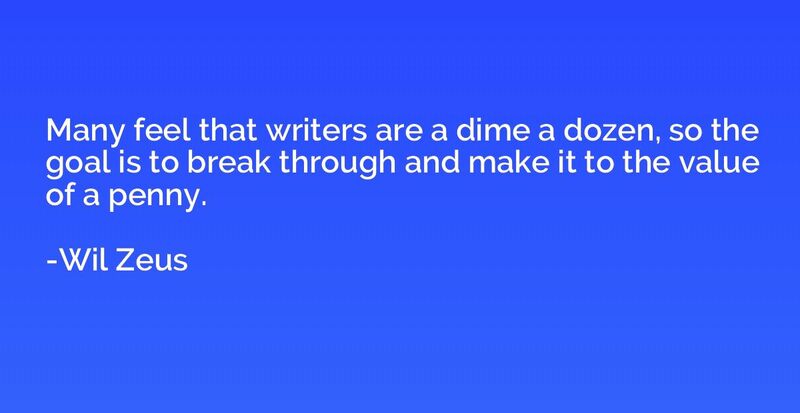 Many feel that writers are a dime a dozen, so the goal is to break through and make it to the value of a penny. 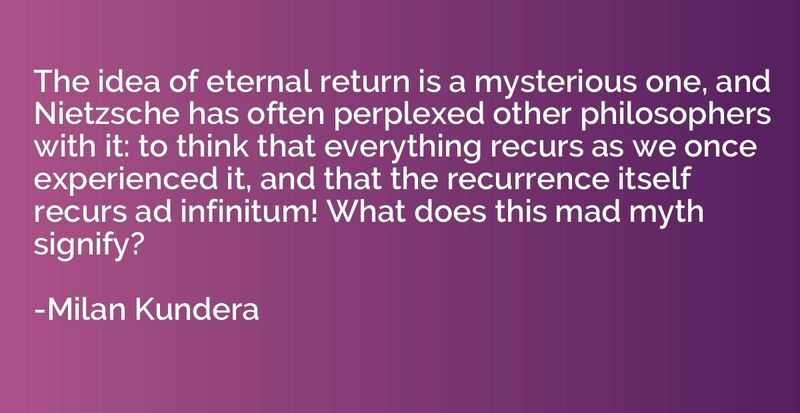 The idea of eternal return is a mysterious one, and Nietzsche has often perplexed other philosophers with it: to think that everything recurs as we once experienced it, and that the recurrence itself recurs ad infinitum! What does this mad myth signify? 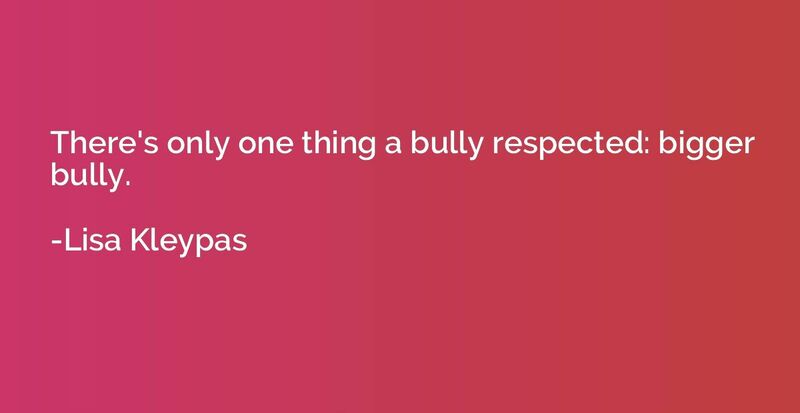 There's only one thing a bully respected: bigger bully. It was very bad if the council had resorted to recruiting men. By tradition men were our last line of defence, their physical strength bent towards the single and most important task of protecting our homes and children. 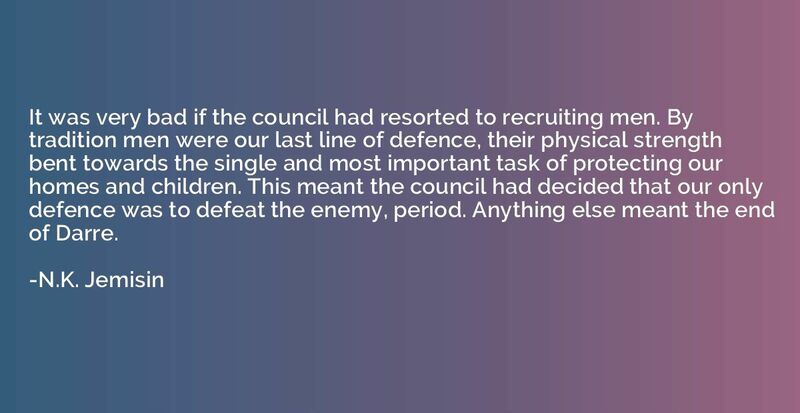 This meant the council had decided that our only defence was to defeat the enemy, period. Anything else meant the end of Darre. 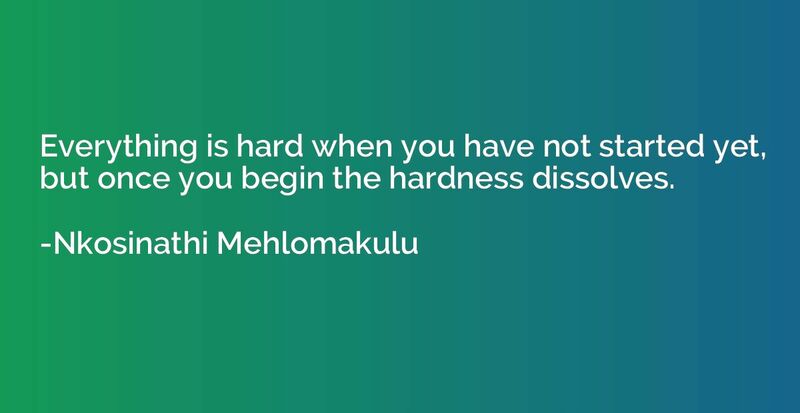 Everything is hard when you have not started yet, but once you begin the hardness dissolves. 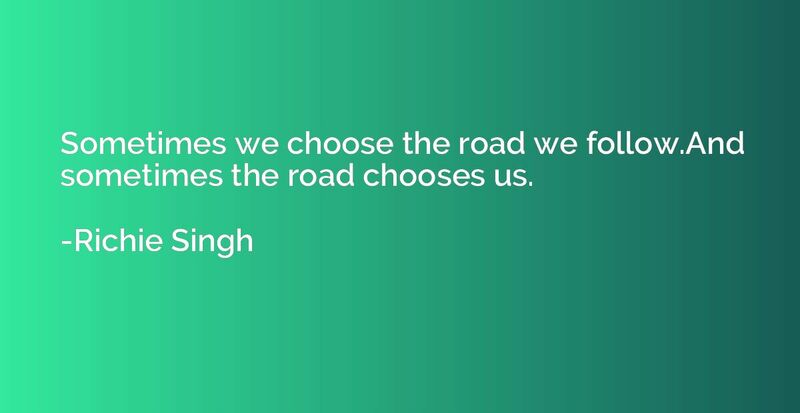 Sometimes we choose the road we follow.And sometimes the road chooses us. 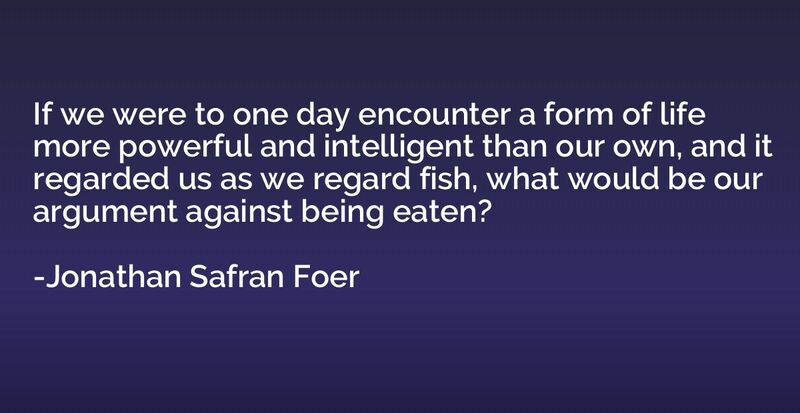 If we were to one day encounter a form of life more powerful and intelligent than our own, and it regarded us as we regard fish, what would be our argument against being eaten? 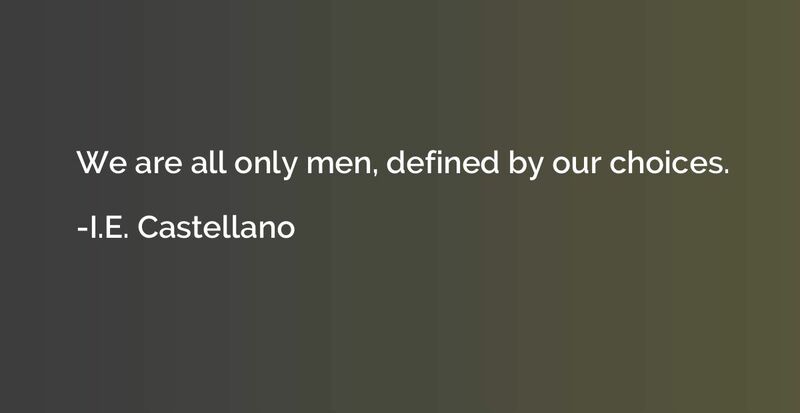 We are all only men, defined by our choices. 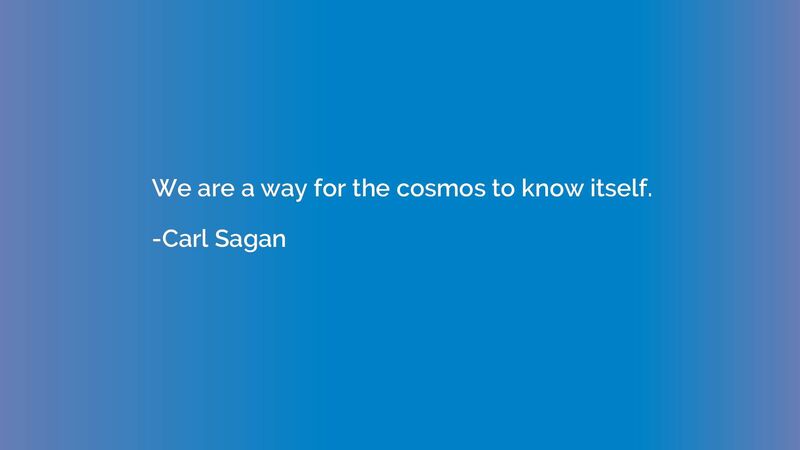 We choose our next world through what we learn in this one. 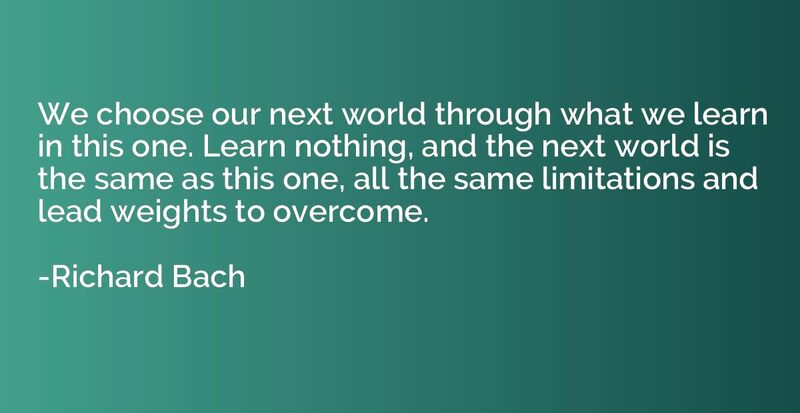 Learn nothing, and the next world is the same as this one, all the same limitations and lead weights to overcome. 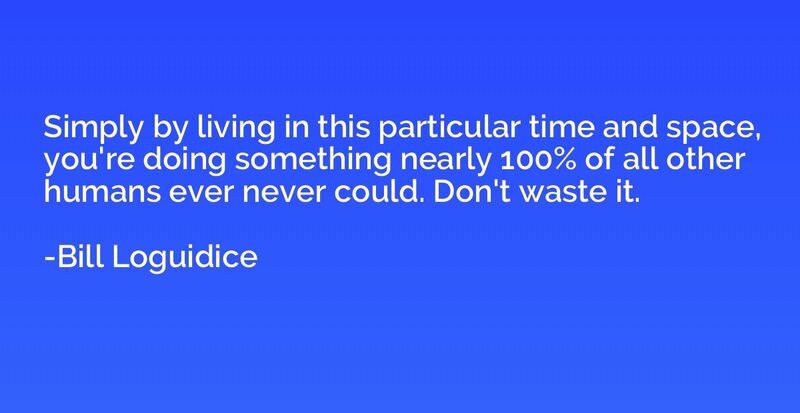 Simply by living in this particular time and space, you're doing something nearly 100% of all other humans ever never could. Don't waste it. 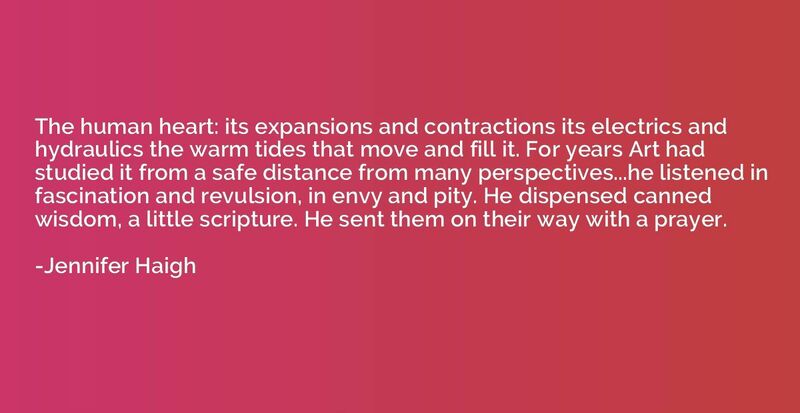 The human heart: its expansions and contractions its electrics and hydraulics the warm tides that move and fill it. For years Art had studied it from a safe distance from many perspectives...he listened in fascination and revulsion, in envy and pity. He dispensed canned wisdom, a little scripture. He sent them on their way with a prayer. 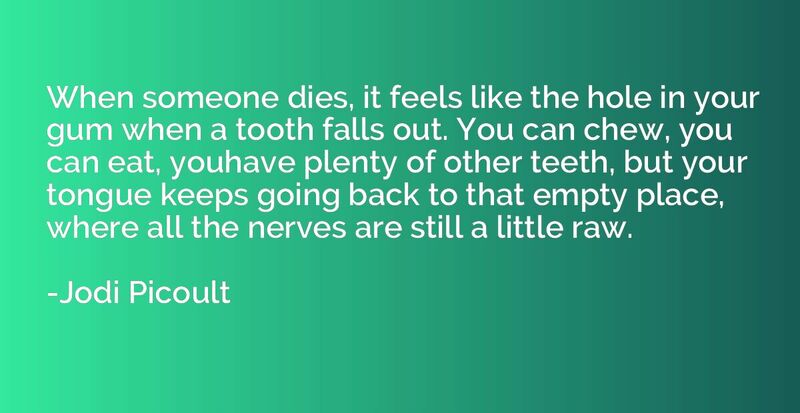 When someone dies, it feels like the hole in your gum when a tooth falls out. You can chew, you can eat, youhave plenty of other teeth, but your tongue keeps going back to that empty place, where all the nerves are still a little raw.